Amiga people never stop to Amaze me! 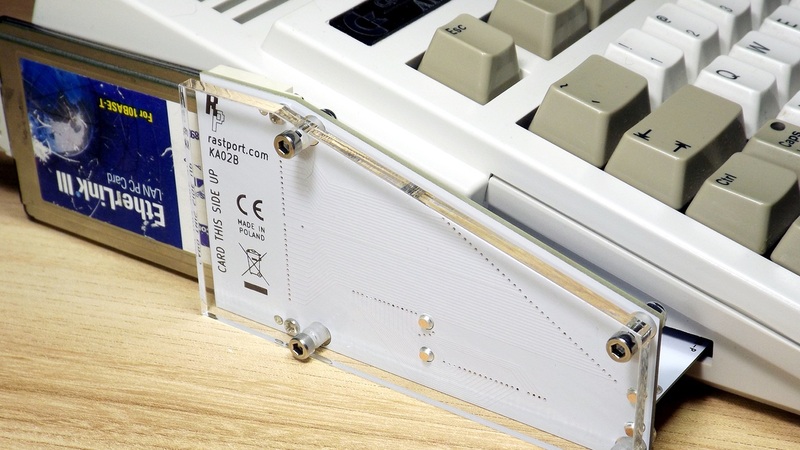 They produce fantastic products like Grzegorz Kraszewski, which have released this handy hardware fix for Amiga 1200 users. He is one of many dedicated Amiga users that keeps the Amiga spirit up. By releasing his Hardware Gayle Reset Fix KA 21 release for Amiga 1200 he is for sure a person that helps our beloved Amiga to survive! KA21 is available thru Amedia Computer France and Retro Ready to name a few Amiga stores worldwide that do stock this. 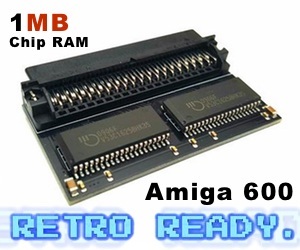 Check out RastPort website for full list of where to get this handy product for Amiga 1200. This handy fix for Amiga 1200 removes all of the hardware Gayle reset issues that Amiga 1200 got. No need to use fixes anymore from Aminet. You just press his KA 21 chip on top of Gayle and it works like when you install Indivision AGA mk2 card. A little push on top of the chip is all that is needed. KA 21 is a great hardware solution for Gayle chip that does have a serious PCMCIA reset bug, which you can disable thru installing PCMCIA fixes on Aminet. The Gayle chip in Amiga 1200 seems to be rushed during the production by Commodore. So, it does not reset PCMCIA card during system reset (for example keyboard reset Amiga+Amiga+Ctrl). Then some cards simply stop working after such event until the Amiga is power-cycled, which means powering your Amiga 1200 off and then on again. So. 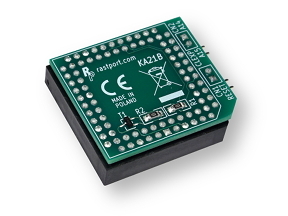 What this new chip from RastPort does is that KA 21 generates forced CC_RESET high pulse from system reset signal. 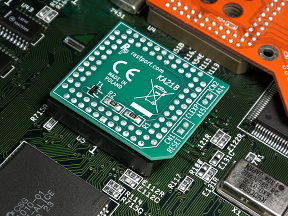 This device is installed directly on the Gayle chip and works instantly. Yes, you need to open up your Amiga 1200. But you will have fewer issues with it with this neat new solution. 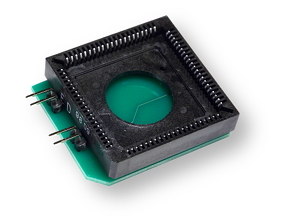 High-quality PLCC socket additionally machined to ensure good contact with the chip. Pin header for optional system reset button. Pin header with A14 and A15 signals for 2-way and 4-way clockport expanders. No need for inserting additional socket under ROM chip when installing these expanders. NOT Compatible with FastATA from Elbox: KA21 cannot be used together with FastATA solution from Elbox. The reason is FastATA has its own board mounted on Gayle chip. As seen above. Everything is ok, except for if you use the FastATA solution from Elbox. 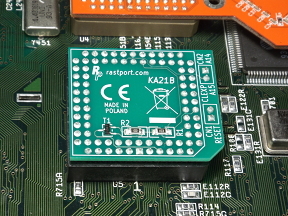 You won’t be able to install KA 21, because FastATA already sits on top of the Gayle chip in Amiga 1200. Other than that. This is a fantastic Polish product! KA 21 is the perfect solution for people that are annoyed because of the Gayle reset bug. Amitopia is looking forward to making a nice review for you. 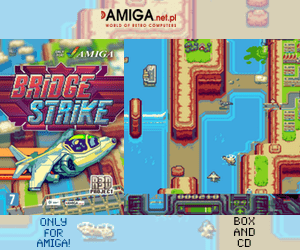 It is really awesome to see that people like Grzegorz from Poland, continues to help Amiga to survive. 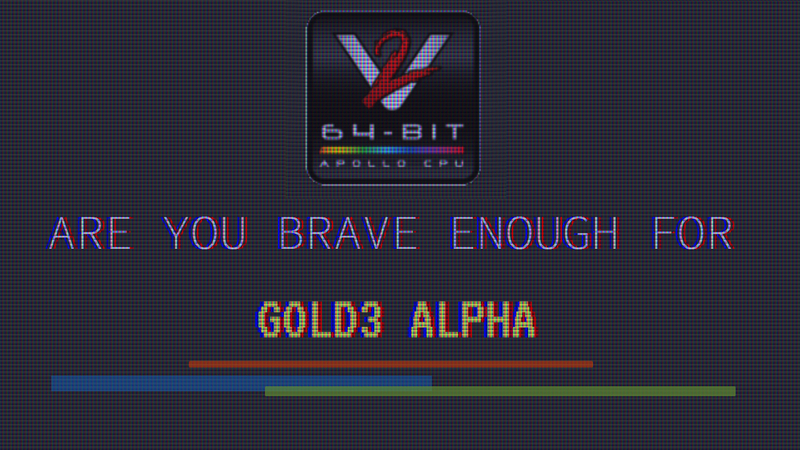 He is for sure helping Classic Amiga users with unique products that keep the machines live almost forever! So, we send lots of Kudos back. Thanks so much!